This range of heavy heatset rugs offer one of the finest collection’s of Traditional Rugs. 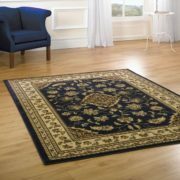 Machine Woven with a soft velvet feel and woven with artificial silk highlights giving the rugs a luxurious, soft finish. They are a T5 grade with 950,000 points of yarn per square metre. 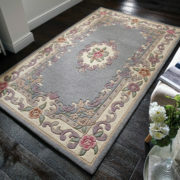 Noble Art Rugs are Stain Resistant and Colourfast making them suitable for any room including conservatories. They are also Easy to Clean and Water Repellent. They are available in sizes upto 9ft 2″ x 12ft 10″. Bright and bold range of childrens rugs. Handtufted in 100% polyester, these rugs are non-shedding, easy to clean and colourfast. The shaped rugs look good as wall hangings. They make a lovely centrepiece in any childrens room. The city of Sultanabad (now known as Arak) was founded in 1808 to become the major center of rug production in Iran.Sultanabad carpets are distinguished as the highest quality of Mahal productions manufactured in the Arak region. Other types of Sultanabad designs may include production from Mushkabad. Farahans and Sarouks were also made in the Arak region, though are wholly different. During the late 19th century, 1883, the Manchester, England, based Anglo-Swiss firm of Ziegler & Co. established a manufactory whose sole objective was to produce Sultanabad rugs to meet western demands. Western designers modified classical Persian designs, marking the first time westerners directly affected Persian designs (beyond influence through market demand). In step with the beginning of the Arts and Craftsmovement, Ziegler modified designs to be larger size, along with a larger rug size to suit western room specifications. Arak’s palette changed, as colors were softened in an effort to appeal to housewives of Europe and America. Most similar to the Sultanabads are Heriz and Serap rugs; this similarity being attributed to the magnificent graphic character of the designs. Yet within this similarity, the line work of the Heriz/Serapis is always more curvilinear and classical. Sultanabads share with Persian rugs all-over designs of palmettes and vinescrolls, but as they use a larger, suppler weave, the Sultanabad designs tend to be larger as well. The most popular color of the Sultanabad repertoire was a deep rose red. The red dye was created by bathing wool for two days in madder and whey after which it was scoured for nearly another two days with running water. The Woodstock range of extra large rugs are Machine Woven Wilton`s, manufactured to a very high standard in Flanders. Made from 100% Heatset Polypropylene pile, they have a soft wool feel finish. They come in a large selection of sizes upto 200cm x 290cm and some have matching runners. They are hardwearing, non- shedding, Colourfast, Water Repellent, Soft to Touch and Easy to Clean. These rugs are usually despatched for next day delivery if ordered before 1pm. Twilight Luxury Large Shaggy Rugs. The Twilight range of shaggy rugs are a high quality machine woven shaggy, made using 100% high quality polyproplene. They are soft and very thick the pile is high and dense, The pile looks and feels like wool but does not shed fibre, they are water resistant, colourfast and vacuum easily. The Sincererity Traditional Rug range comes in two beautiful timless designs each in four colourways. Soft to touch but hardwearing and durable. Machine made rug using 100% heaset polypropylene. Colourfast and easy to clean. Good size range including a runner. The Sincerity Range of Rugs are Machine Woven with a 100% heatset polypropylene Pile. The range of colours are Cream, Green, Red and Navy. Easy to Clean, Anti Static, Colourfast. 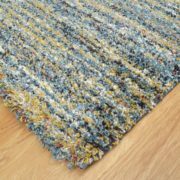 The new Santa Cruz Summertime Rugs has a 62mm long pile, they are lovely tactile rugs and customers just love to run their hands along them. Thay have a think dense underpile and a long silky threaded top pile that glistens. Great range of colours and sizes no one will be disappointed with these rugs. Easy to clean, highly luxurious and excellent value for money. Our Royal Opera rug range is a superb, heavy heatset rug made in Belgium from top quality textured yarn for the look, feel and durability of wool. Royal Opera is of woven wilton construction and designed for areas of very heavy wear. The Royal opera rugs will not shed any fibres. The Royal Opera Rugs are machine woven in heatset polypropylene, which repels dirt and is environmentally friendly. It is also antistatic and colourfast and recommended for offices, schools, showrooms and other public spaces. The orientally inspired Chinese wool rug range are avaliable in traditional colours. These rugs are top quality 100% Full wool cut. Thick and soft yet strong and hard wearing. Wide range of sizes including Circles, Half Moons and Runners. These rugs will add timeless grace to any home. Lose yourself in the decadent luxury of the deep soft pile with this excellent luxury range of rugs from the Aspen range. Aspen is an ultra heavyweight shaggy pile, this luxury rug with a thick, soft pile. It is machine woven to the very highest standard, good range of plain and flecked colours to suit either a modern or a classic decor. Easy to clean, colourfast and non shedding. Usually despatched for next working day delivery. The Infinite Modern Rug range offer striking modern patterns, some are bright and bold in colour while others subtle. They are hand tufted chinese rugs , soft to touch and yet hard wearing. They look and feel like wool but are non shedding. Infinite rugs come in a large range of sizes, patterns and colourways. The foundation is of silk with wool pile of a knot density at 300-350 knots per square inch (470-540.000 knots per square metres, i.e. 26 million total knots). The size of the London carpet is 34½ feet by 17½ feet ( 10,5 metres x 5,3 metres). The carpets have an inscription: a couplet from a ghazal by Persian mythic poet Hafez and a signature. The difference in size between the two lamp motifs flanking the central medallion is now seen as a deliberate use of graphical perspective; when seen from the end with the smaller lamp the two appear the same size. Completed during the rule of the Safavid Shah Tahmasp in the mid-16th century, probably in Tabriz, the carpets are considered some of the best of the classical Persian school of carpet creation. They were first placed in a mosque in Ardabil, but they had become heavily worn in Iran and were sold in 1890 to a British carpet broker who restored one of the carpets using the other and then resold the restored one to the Victoria and Albert Museum. William Morris, then an art referee for the V&A, was instrumental in the acquisition. The second “secret” carpet, smaller, now borderless and with some of the field missing, and made up from the remaining usable sections, was sold to American businessmen Clarence Mackay and was exchanged by wealthy buyers for years. Passing through the Mackay, Yerkes, and De la Mare art collections, it was eventually revealed and shown in 1931 at an exhibition in London. American industrialist J. Paul Getty saw it, and bought it from Lord Duveen for approximately $70,000 several years later. Getty was approached by agents on behalf of King Farouk of Egypt who offered $250,000 so that it could be given as a wedding present. Getty later donated the carpet to the Museum of Science, History, and Art in the Exposition Park in Los Angeles. Other fragments have appeared on the market from time to time. The number of knots per inch is actually higher on the Los Angeles carpet. This most famous of Persian carpets has been the subject of endless copies ranging in size from small rugs to full scale carpets. There is an ‘Ardabil’ at 10 Downing Street and even Hitler had an ‘Ardabil’ in his office in Berlin. The London carpet was for decades displayed hanging on a wall, but is now shown flat in a special glass pavilion in the centre of the main gallery of Islamic art. The lighting is kept low for conservation reasons. The Abril rug collection are made from 100% New Zealand wool, they are heavyweight, power loomed top quality wilton rugs. New Zealand worsted wool is used for ultra heavy wear, it has a 5 star wear rating. The dyes and patterns are reminiscent of the original Persian and Afghan rugs. An Afghan rug is a type of handwoven floor-covering textile traditionally made in Afghanistan. Many of the Afghan rugs are also woven by Afghan refugees who reside in Pakistan and Iran. In any case, Afghan rugs are genuine, often charming — and usually phenomenally inexpensive. One of the most exotic and distinctive of all oriental rugs is the Shindand or Adraskan (named after local Afghan villages), woven in the Herat area, in western Afghanistan. Strangely elongated human and animal figures are their signature look. Another staple of Afghanistan is Baluchi rugs, most notably Baluchi prayer rugs. They are made by Afghanistan’s Baloch people, also in the western part of the country. Most of the weavers in Afghanistan are the Ersari Turkmen, but other smaller groups such as Chub Bash and Kizil Ayaks are also in the line of weaving rugs. In addition, Uzbeks, Kyrgyz, Kazakhs, and Arabs label their rugs according to their ethnic group. Various vegetable and other natural dyes are used to produce the rich colors. The rugs are mostly of medium sizes. Many patterns and colors are used, but the traditional and most typical is that of the octagonal elephant’s foot (Bukhara) print, often with a red background. The weavers also produce other trappings of the nomadic lifestyle, including tent bags and ceremonial pieces. Hundreds of Afghan American people are involved in the Oriental rug business, and many frequent the Middle East in search of merchandise. Approximately 97% of the Afghan rugs has been transacted under other countries’ names like Iran and Pakistan. However, Afghan businessmen or traders with the help from the government of Afghanistan are seeking ways to end this. Many Afghan carpet weavers work in neighboring Pakistan in that country’s carpet industry where they have successfully incorporated their designs as well as using Pakistani enhanced wool. Afghan businessmen in the United States received more than one million US dollar demands for further quality handicraft mat after all their rugs put for display were sold out. In early 2008 the Afghan carpets were put for display in another international exhibition in Germany, out of 1442 carpet producers from 80 countries across the globe Afghan carpet won the first position in the competition.Afghan carpets can be expensive, but the more expensive are very durable and gain value as they get older, providing they are properly maintained. The very finest quality machine woven diamond wilton rug, made in a centuries old weaving shed in Flanders using a 100% pure New Zealand worsted wool. The Diamond rug range has 1,200,000 points/sqm and a weight of 3.5kg per square metre for outstanding density and pattern definition, the traditional designs are intricate and based on antique Persian designs. Each Diamond rug brings with it a spectrum of shades depending upon from which angle one views it from.The wool pile is cut low and is dense but extremley soft . This is one of our highest quality rug ranges. 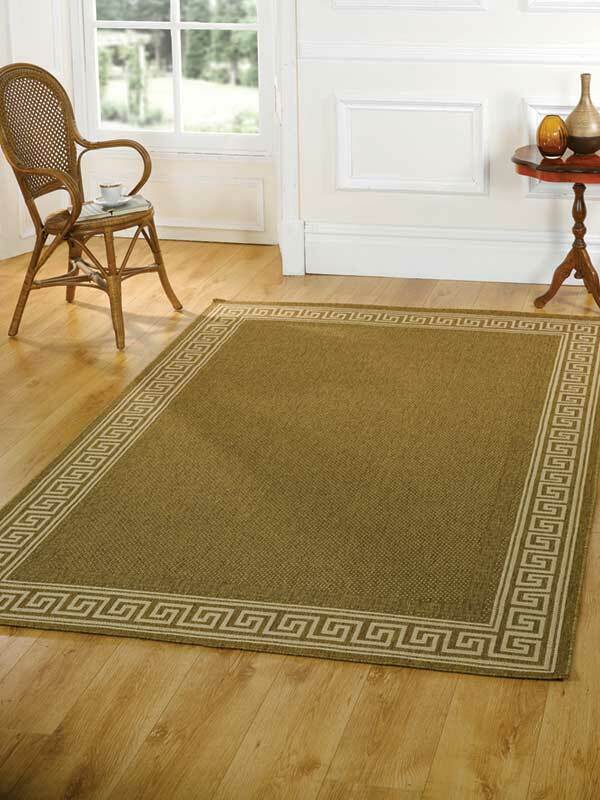 The Diamond wool rugs are designed for extra heavy wear. Knot density is a traditional measure for quality of rugs. It refers, quite simply, to the number of knots per unit of surface area – typically either per square inch or per square centimeter. For two rugs of the same age and similar design, the one with the higher number of knots will be the more valuable. With more than 30 knots per square centimeter (1 sq cm = approx. 0.155 square inch), the carpet pattern will have less pixelation. The carpet’s surface will also feel more solid and will give better protection against aging. 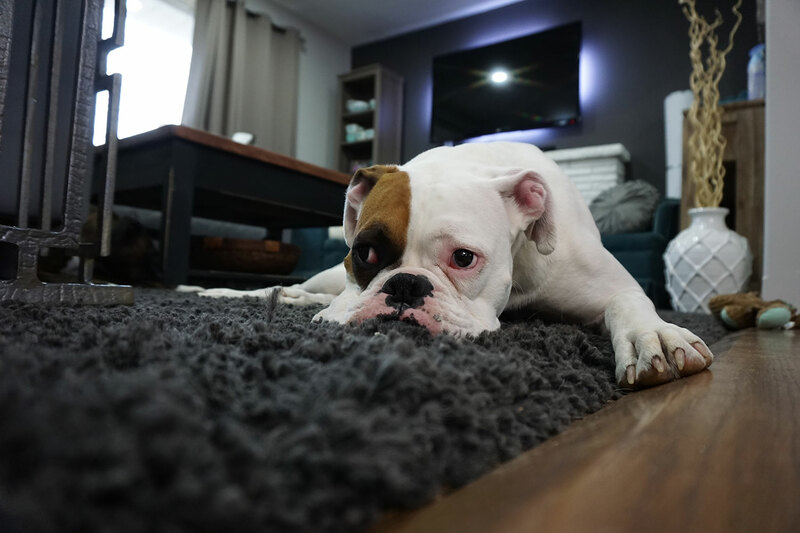 A Persian rug with fewer than 30 knots per sq cm is generally considered an average to low-quality carpet, while over 50 indicates a fine piece of work. Hand-tying of knots is a very labour-intensive task. An average weaver can tie almost 10,000 knots per day. More difficult patterns with an above-average knot density can only be woven by a skilful weaver, thus increasing the production costs even more. The Visiona Range of Modern Rugs are Machine Woven with a 100% Berclon Pile and feature loop pile detailing. The range of colours include Cream, Coffee, Red and Brown. Easy to Clean, Anti Static, Colourfast, Water Repellent. The Vienna Rug Range are a selection of modern designs and great colour combinations, they are a hard wearing easy to clean affordable option for the modern family lifestyle. Colourfast and non shedding suitable for any room.